R: Remove the top card of your library from the game. 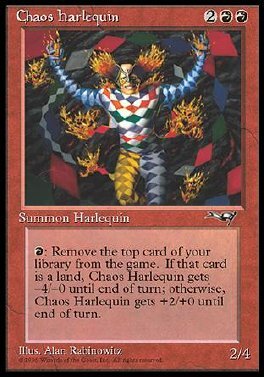 If that card is a land card, Chaos Harlequin gets -4/-0 until end of turn. Otherwise, Chaos Harlequin gets +2/+0 until end of turn.